Flynn Hawkins is a graduate assistant at a prestigious university, on his way to greatness and wisdom. But in the aftermath of 9/11, Flynn leaves his wife and children, resigns his teaching position and heads west, only to get lost in his guilt and in the mountains of Colorado. When he ends up stuck overnight in a snow drift during a blizzard on the Continental Divide, he realizes he needs to remake himself into the kind of man his children need him to be. With wit and insight, David Hicks turns a compassionate but unblinking eye on what it means to be human--to be lost while putting yourself back together again, to be cowardly while being brave, to fail and fail again on the way to something that might be success. 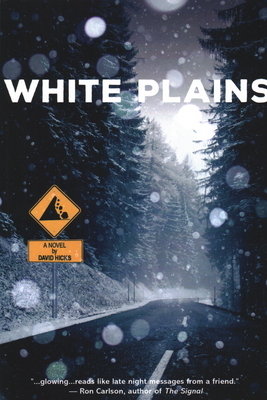 David Hicks is an English professor and the codirector of the Mile-High MFA program at Regis University. His work has been published in the Colorado Review, Glimmer Train, Saranac Review, and South Dakota Review. He lives in Denver, Colorado.